I’ve been doing some brain storming regarding my surface decoration. Tonight, I decided to go on a random meander online just typing in simple keywords, starting with “orchid”. The search came up with about 6 sub-categories. 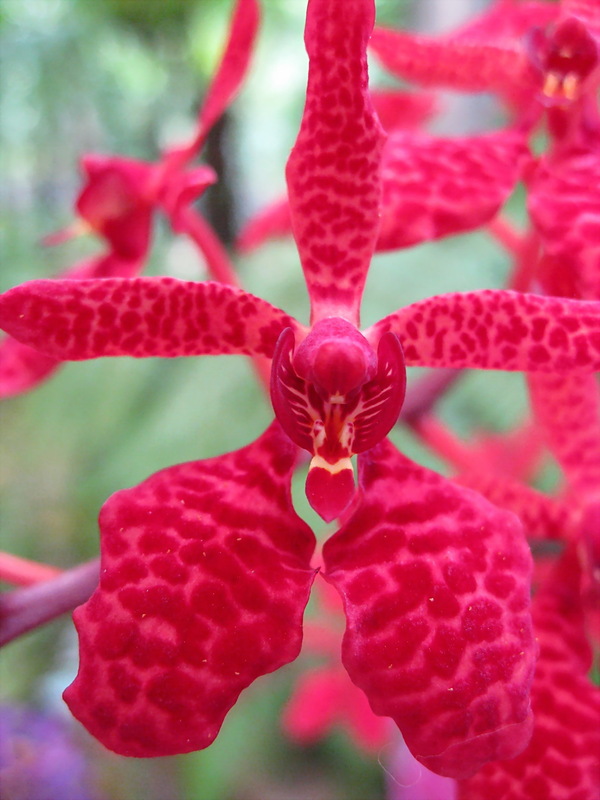 I clicked on “types of orchids”, which was first organized by color. 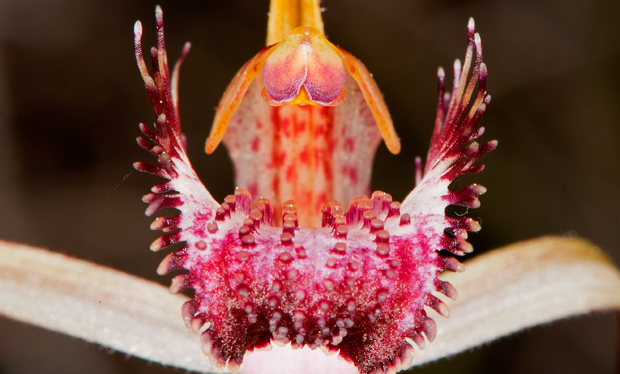 One of those sub categories was “spider orchids”, so I clicked to view all images. 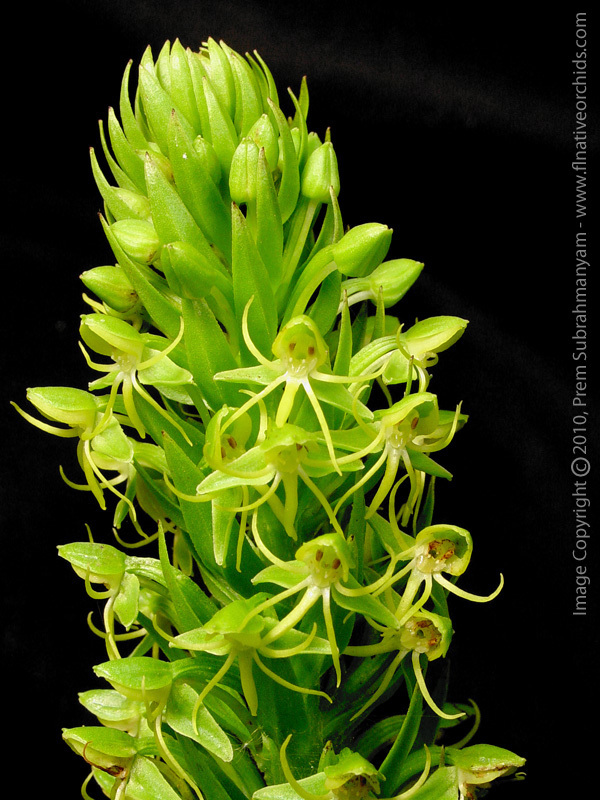 It gave me some good results, but most of the orchids were ones I was already familiar with, or not drawn to. I typed in “red spider orchid” to narrow it down more. It was only tonight that I realized that people commonly call Oncidium and Miltonia “spider orchids”. It reminds me of when I started working at the herbarium and only really knew common names, but the professor supervising there was only familiar with scientific (Latin) names. Typing in red spider orchid didn’t help much, as it was mostly big flower arrangements and I am looking for detail photos, so I typed “orange” in the place of red. 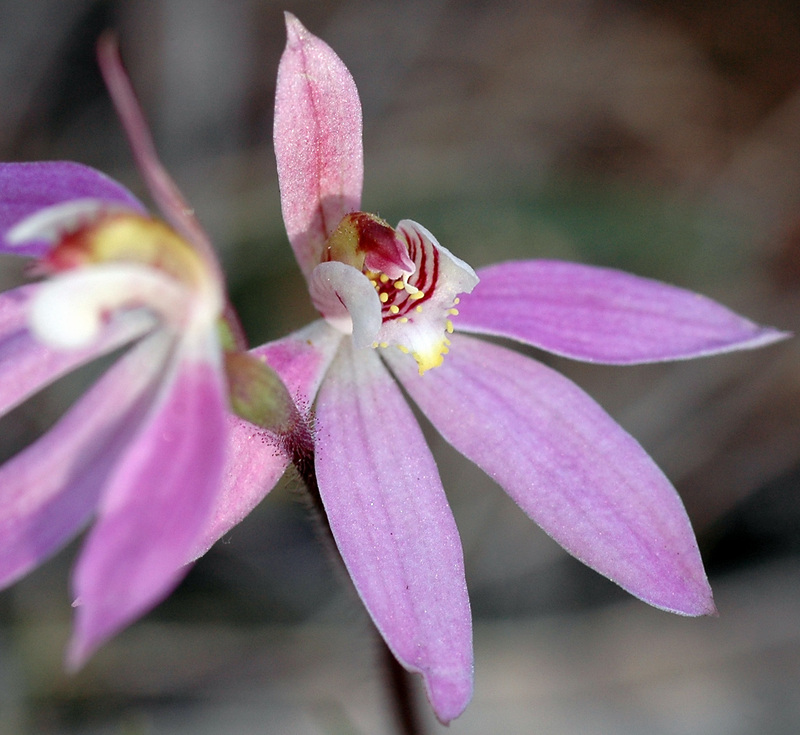 I found this nice close up of an Australian orchid, but then started thinking about local orchids, like Habenaria and Platanthera, which made me decide to type in “orchids of Wyoming”. Photos of the calypso orchid sprinkled the results throughout. I like the calypso orchid, and I have stumbled upon it in the hills of Wyoming one very wet June, but I was more interested in the fragrant tiny green orchids. I have found these beautiful orchids growing next to my favorite bridge in the park near where I grew up. Its smell is overpoweringly sweet in the most pleasant way, and the flowers are so discrete that it leaves you discouraged as to where the beautiful smell is coming from. When I went looking for the orchids in the same spot last summer, they weren’t there. It may have been too early for them to be visible in the dense patch of Equisetum it grows in. I am trying to decide how to illustrate the more complex plants I love on my pots, and I would really like to start showcasing unique, rare, and sneaky local plants, such as tiny orchids and lilies. I illustrated some cups with venus flytraps yesterday. I will post photos of work soon. This entry was posted in Art, Creative Writing, Design, Nature, Science, Uncategorized and tagged art, caledonia, orchids, spider orchids. Bookmark the permalink.